Next year will mark the 70th anniversary of the disappearance in a Soviet prison of Raoul Wallenberg, the Swedish businessman who rescued thousands of Hungarian Jews in the darkest days of the Holocaust. 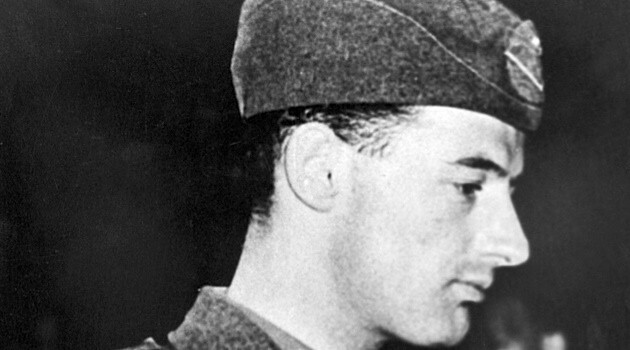 Arrested by communists in 1945, Wallenberg never resurfaced, and his family and historians are still demanding that Russia reveal the precise documentary details of his demise. A lucid new biography, “The Hero of Budapest: The Triumph and Tragedy of Raoul Wallenberg” by historian Bengt Jangfeldt, implies that the most compelling mystery of Wallenberg’s life was not his tragic vanishing, but rather how he decided to become a hero. Scion of a rich Scandinavian banking family, Wallenberg had earlier in his life expressed hopes of becoming an architect. He served as special Swedish envoy in Budapest from July to December 1944, after hundreds of thousands of Jews had already been murdered by Nazis with eager collaboration by Hungarian anti-Semites. Rather than despair at the loss that he encountered, Wallenberg flouted diplomatic protocol to indulge in bribery and blackmail, all to save Jews. He issued protective passports and sheltered Jews in buildings designated as Swedish territory, making frequent trips to save individual lives by confronting Nazi troops and pulling Jewish deportees off trains, declaring them — without any real authority to do so — protected by Sweden. This view would soon change, in part through Wallenberg’s attachment to culture, especially the movies. He adored Laurel and Hardy, Charlie Chaplin, and the Marx Brothers, and the British 1941 anti-Nazi thriller, “Pimpernel Smith.” After seeing “Pimpernel Smith,” in which Leslie Howard plays an archaeology professor who rescues victims of Nazi persecution, Wallenberg reportedly said: “I would like to do something like that myself.” One paramour, the Swedish actress Viveca Lindfors, even recalled Wallenberg talking “intensely” about the sufferings of German Jews, after he returned from a trip to Berlin soon after Kristallnacht. At the time Lindfors thought that Wallenberg might have been putting on an act. Wallenberg’s efforts at saving people, however artistic and exuberant, were not always successful or even-handed. Jangfeldt explains that because protective passports were usually issued to Hungarian Jews who had established business concerns or family ties in Sweden, “it was mostly well-to-do people who were entitled to apply.” Yet Wallenberg also extended assistance to humbler deportees whenever possible. “The Hero of Budapest” affirms that Wallenberg’s unique personality traits and upbringing are at the heart of his stunning humanitarian achievement.